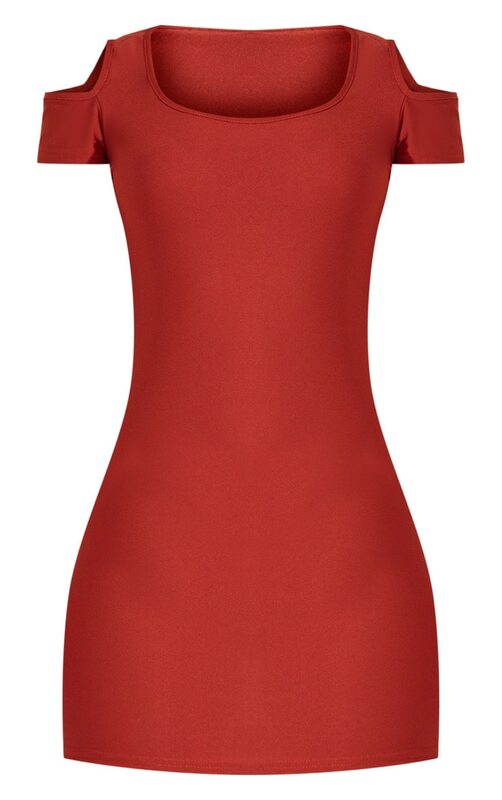 This dress is an ultimate wardrobe staple doll. Featuring an auburn material with a cold shoulder design and a figure-hugging fit. Team this with strappy heels and complete the look with some statement jewelry.